Through over 30 years of ministry, research, and application, Dr. Henry W. Wright has discovered the possible root causes behind cancer and it is not what you may think. 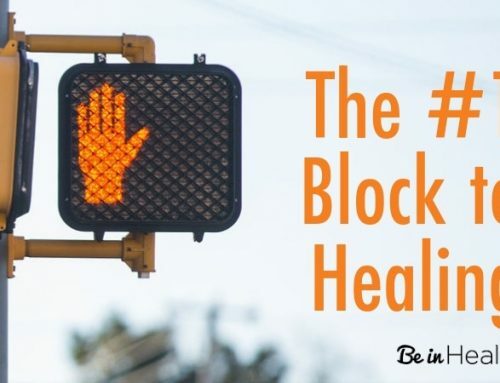 As Dr. Wright and his team at Be in Health® minister to those afflicted by this rampant disease, they've seen incredible results of healing and restoration in thousands of people. 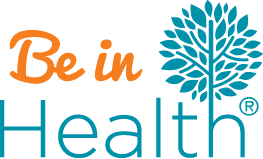 These people learned the Biblical principles that are taught at Be in Health® and applied them to their life and now are overcomers, not only physically, but spiritually as well. They found the true cure for cancer! 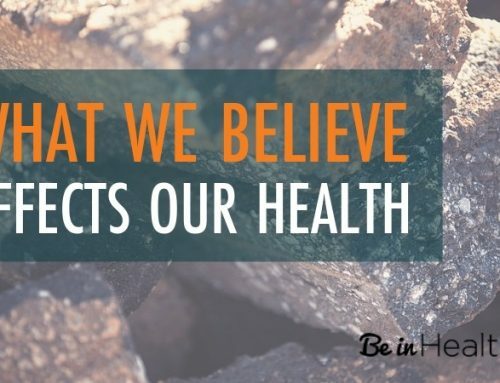 How we think affects our health. Many of us may not realize that how we think about and process situations can actually affect our health. This is especially true in relation to adverse circumstances or traumatic events. Most of us go on the best we can, trying to handle the crisis however we know how. But how often do we stop to ask God to see how he would have us deal with it in a proper, healthy manner? The first thing that we need to establish is that human emotions are not bad! They are an absolutely necessary part of our design from creation that help us relate to our environment and connect with God and others at a more personal and, yes, vulnerable level. They give us the ability to love, to feel peace, to feel joy, and also to grieve, to express anger, and regret. All of these are necessary and God designed. However, as a believer, we also must be able to let go of negative emotions at the appropriate time and recognize counterfeit emotions. When we hold onto them long term they become unhealthy. In the cancer profile, we have observed that often times these people will have a tendency to hold in or repress their feelings. As a result, they may become disconnected from their own emotions and not be able to process them correctly. Outwardly they may put on a happy face and continue life as normal but inwardly there is something festering which has not been properly dealt with or healed. They may shut down and end up in a state of denial, suppressing everything including their own needs and emotions. They will internalize feelings of fear, anger, rage, and bitterness. In addition, these people may respond to anger and stress with deep-seated feelings of hopelessness, helplessness, and despair. Essentially, they build up unhealthy protective mechanisms to shelter themselves from hurting any more. All of this is fertile grown for cancer to grow. To understand why we need to dive a little into our physiology. Two of the main root issues behind cancer are unresolved bitterness and fear. Both of these are capable of creating toxicity. In fact, they feed into each other. Bitterness comes in when we feel wronged by someone, this may include others, God, or even ourselves. 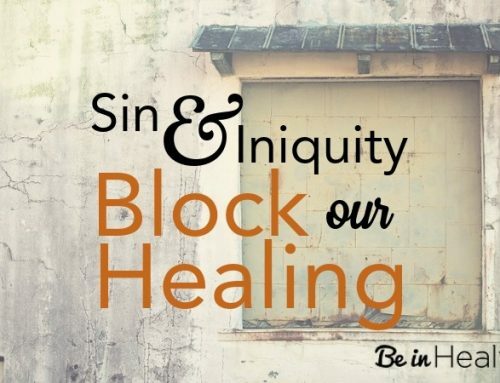 Rather than forgiving and releasing that hurt and pain to God so that He can heal their hearts, a person who entertains bitterness will hold onto that offense. They will hash and rehash it within themselves, they may lash out in anger or rage but often times, in the case of cancer, they keep it buried deep within. The old adage about bitterness that says, 'It eats them like a cancer.' could not be more relevant. With this deep wounding and the subsequent pain that comes with holding onto the offense comes a level of fear. This is especially the case in relationships because they do not want to be hurt again. They feel the pain of the breach so profoundly. Fear and bitterness are working hand in hand. Bitterness will create toxicity at the cellular level and fear will create Cell Wall Semi-Rigidity that will, in turn, retain the toxicity within the cells. As a result, the body retains the toxins and waste by-products rather than expelling them the way that it was designed to. This creates a foothold for cell mutation and allows the destruction of anti-oncogenes which are the immune sentries in every cell. There is more to this part of the story that is expressed in greater detail in Dr. Henry W. Wright's teaching, Insights into Cancer. 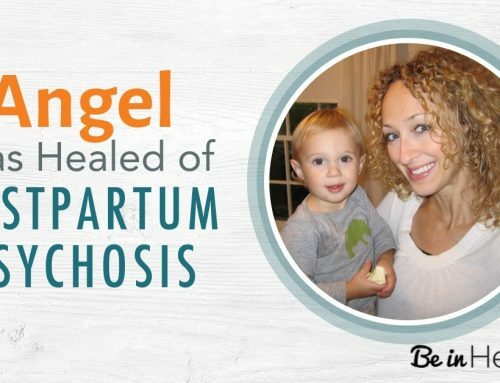 But the conclusion of this point is that Bitterness and Fear suppressed in a person's body, long term, will cause a breakdown in a person's immune system. As a result, their immune system is unable to flag and destroy the rogue cancer cells as it was designed to do and they have free reign to metastasize and create a tumor. There are a number of contributing factors to the development of cancer including environmental factors (such as the introduction to cancer-causing chemicals into the body), genetic factors, and spiritual factors. Bitterness and fear are only two of the spiritual factors that contribute to the root cause of cancer. They are, however, the most prevalent and consistent factors between the various types of cancer. We have seen people completely healed of certain types of cancer just because they forgave someone that they had a breach in relationship with. So how do we deal with these root issues according to God's way? First, we need to understand Separation. The enemy loves to create counterfeits of what God designed. He especially does this through our feelings and emotions. For example, fear was designed as a self-protective mechanism in the event of immediate danger where our bodies need to kick into fight or flight mode. The enemy has twisted this and created thoughts of long term fear and stress so that our bodies remain in this state of fight or flight. As a result, stress hormones are continually released, causing destruction and breakdown in our bodies. When a spirit of Bitterness comes, it will justify holding onto the offense so that we are unable and even unwilling to forgive. This is where we need to submit our feelings and human inclinations to God and measure them against His ways. Here is what the Bible says about unforgiveness and bitterness (Keep in mind this can be against anyone, others, God and even yourself). How does our Heavenly Father instruct us to deal properly when someone hurts us? 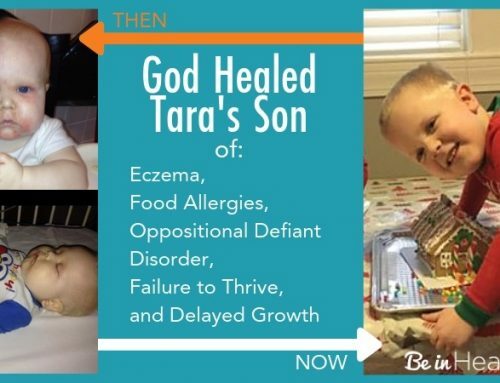 God has a higher calling for His children. He desires that we represent His will and His ways in the earth to our fellow humans. It is said that holding onto bitterness is like drinking the rat poison and expecting the rat to die. It is entirely counterproductive for us! Wouldn't the better result come out of allowing Father God to heal our hearts and to teach us how to love as He does so that perhaps the other person may be recovered as well? The Word says that as we abide in Him and put our trust in Him, we will be strengthened and be recovered to a whole new level. As a result, our response to things that used to pierce us and wound us so profoundly will bring life instead of destruction. God does not want us to devalue or suppress our feeling and emotions but rather, He wants us to bring them to Him so that He can help us to properly process them and then bring the healing that we need for our hearts. He wants us to be able to recognize the evil that is working through a person and separate them from it so that we may still love the person but hate their sin. This requires a process of growing and maturity in our own hearts, as God weeds out the things that are not of Him and replaces them with the good fruit of His own character. We will find that in the absence of things like fear, bitterness, anger, and rejection, things just won't hurt nearly as bad. And guess what?! Our bodies will respond to a renewed healthy balance and this is where healing comes, even from cancer! Then we have to deal with the fear, that comes as a result of a breach in relationships. We need to first ask ourselves, 'Who is my source?' If we make people our source and set our expectations on them to fulfill our need for love, acceptance, and approval, they will inevitably fail us and bitterness has an open door. If, however, we learn how to make God our source where we find our completeness in a personal relationship with Him we will find ourselves far more stable and grounded and far less susceptible to fear and bitterness. Why is this? The Word says that perfect love actually casts out fear. Since God is the only source of perfect love, He is the place that we need to run to in order to overcome that fear. In the case of the cancer profile, especially the fears associated with the breakdown of relationships and adversity. If God is for us, who can be against us? What do we do if we see the fruit of bitterness or fear in our lives? Cancer does not have to be a life sentence! God has put the keys to overcoming in His Word and as we line up our hearts and minds with His will and His ways, we will be amazed to see the healing and blessings that come forth as a result. 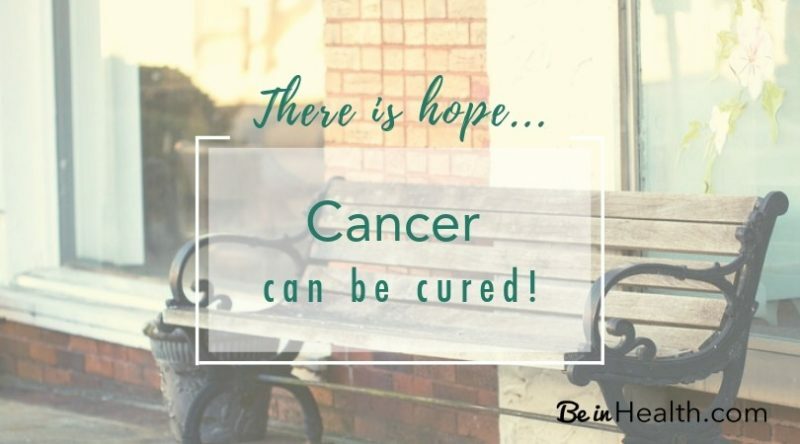 If you or a loved one is suffering from cancer, take heart, there is a solution, there is still hope. 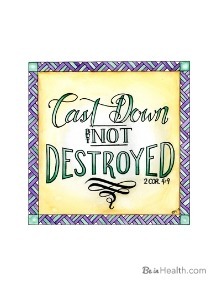 FREE Printable scripture art download! Fill in your information below to receive this in you inbox. *If you want to learn more about the overcoming process, Dr. Henry W. Wright's teaching, 8Rs to Freedom, offers a helpful and insightful approach to recognizing and defeating the enemy in our lives. **Our teaching, Insight’s Into Cancer, by Dr. Henry Wright offers a more in depth understanding to the spiritual profile of cancer and how to overcome!